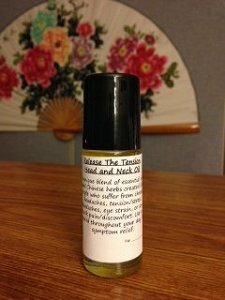 Essential oil blend to treat acute and chronic stuffy noses and sinuses as well as relieve the raw skin caused by overblowing the nose with tissues. Do you find yourself plagued by chronic stuffy sinuses due to allergies or sinusitis? Or maybe you are suffering from a cold/flu and your nose won’t stop running and is turning raw from tissues? 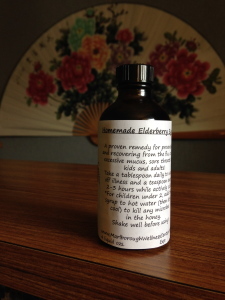 Perhaps you are a parent who has a child suffering from a runny nose and don’t want to give them decongestants? Then Sinus Solutions is the answer for you! 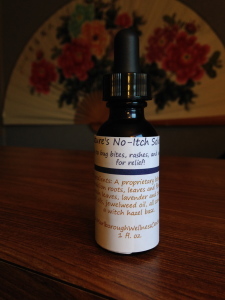 Shake well before applying and apply to the nose and sinus area as frequently as needed. 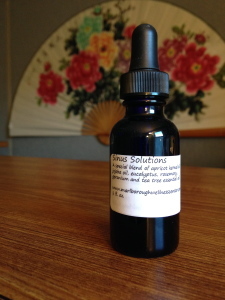 Â Use topically only and is a great addition to humidifiers to open sinus passages. Adult and kid friendly! Ingredients: A Proprietary blend of apricot kernel oil, jojoba oil, eucalyptus, rosemary, geranium, and tea trees essential oils. Consult a physician before using if you are pregnant.